In short, the Griffin Survivor either meets or exceeds both US and UK military standards. Which by the sound of it would also meet Australian Pub Abuse standards for these devices. The case is constructed of shatter-resistant polycarbonate, around which is attached silicon to act as a shock absorber. A built-in screen protector and hinged plugs for the dock connector, headphone port, hold switch, volume controls and camera help seal the Phone 4, iPod Touch or iPad 2. A detachable, heavy-duty clip to a belt, bag, etc. is included for the iPhone 4 and iPod Touch cases. 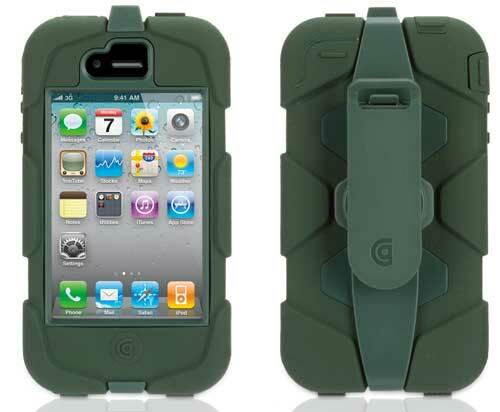 For the iPhone 4 and iPod Touch the Griffin Survivor is available in black, olive, pink and black, and white and black. 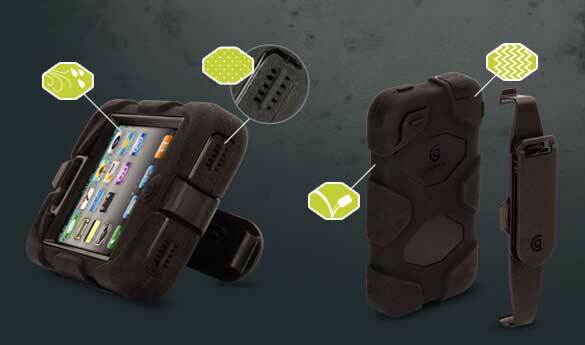 For the iPhone 4 and iPod Touch, the Griffin Survivor has an RRP of US$49.99. The iPad 2 case has not been released just yet, it should become available in the next 6-8 weeks. For reasons unknown, Griffin does not have a similar case for HTC and SSGS2 and SSGS3, even though the sale of these models are formidable. Griffin mainly makes accessories for Apple products, so I think that’s the reason right there, Haakon. Nothing against those other products, just that Griffin has the relationship with Apple.